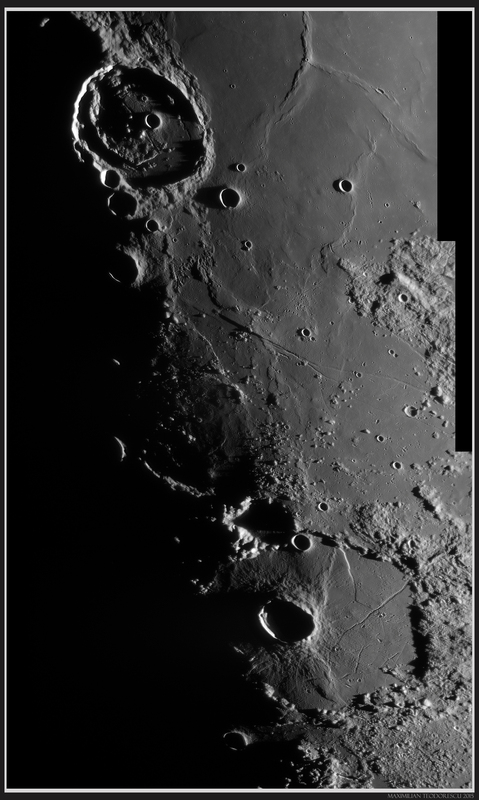 And the final lunar results for the beginning of October (actually the first acquired, but processed last). This session the seeing conditions were rather variable, with values from 5/10 to 8/10, but mostly of the lower. Same equipment as for the previous posts. First image shows the Aristoteles/Eudoxus couple, under good illumination; notice the details on the floor of Aristoteles. 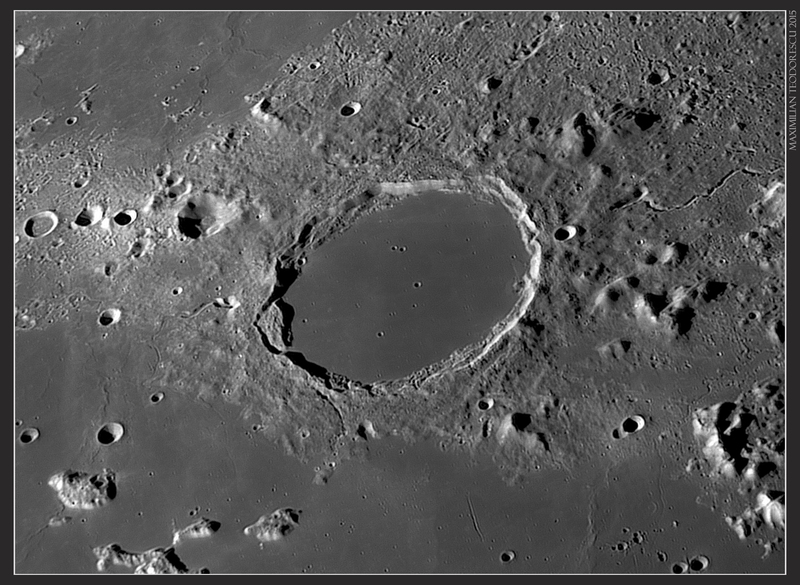 Another lunar imaging session from October. This time the seeing conditions were not as good as the ones from October 5th (previous post) with only a few very good seeing moments; mostly the value was around 7/10. 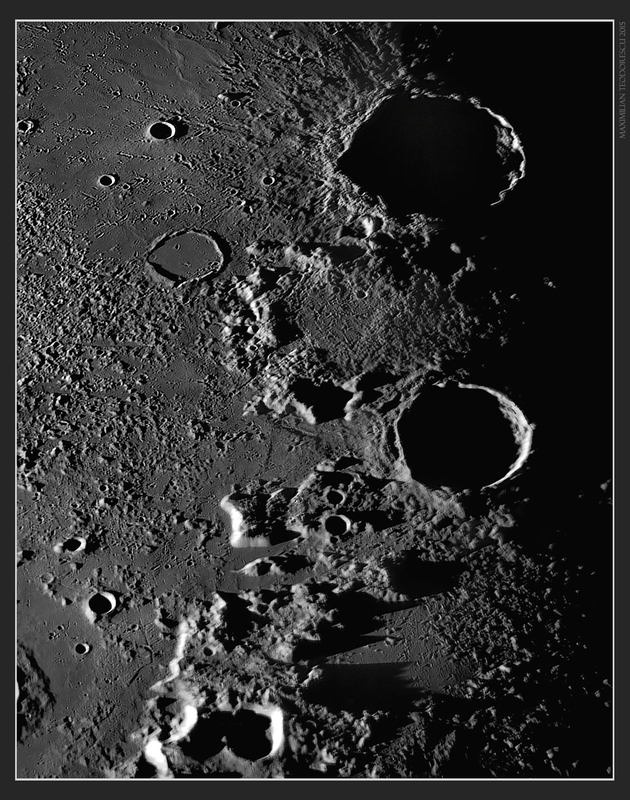 The equipment was as for the previously related HR lunar images the 14inch Newtonian with the ASI 120MM-S camera. 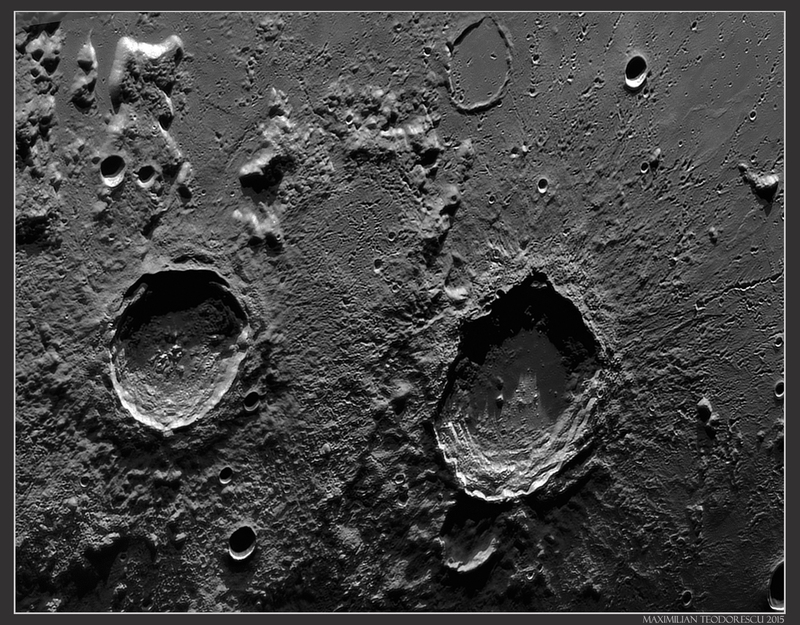 First subjects: a trio of craters named Archimedes, Aristillus and Autolycus not too far away from Hadley Rille. 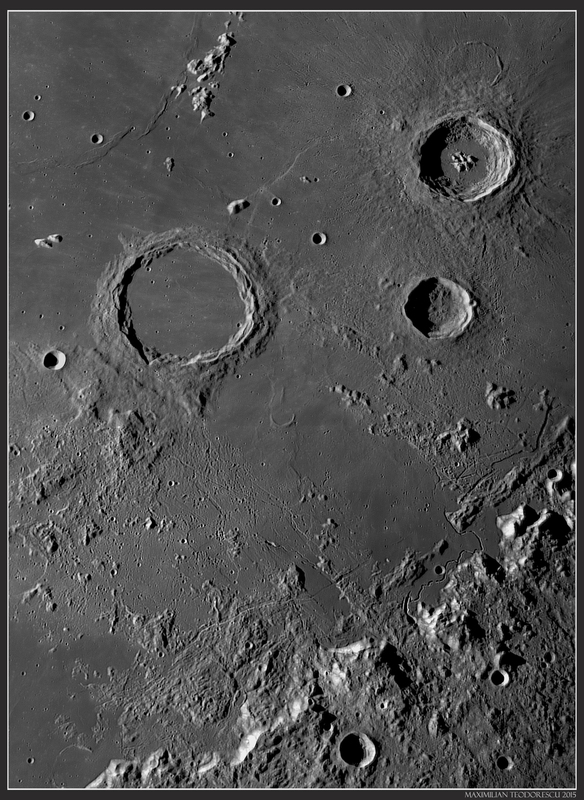 Another pair of craters, two of my favorites, Aristoteles and Eudoxus under very low-Sun illumination. Too bad the seeing conditions were declining at the moment these images were acquired. 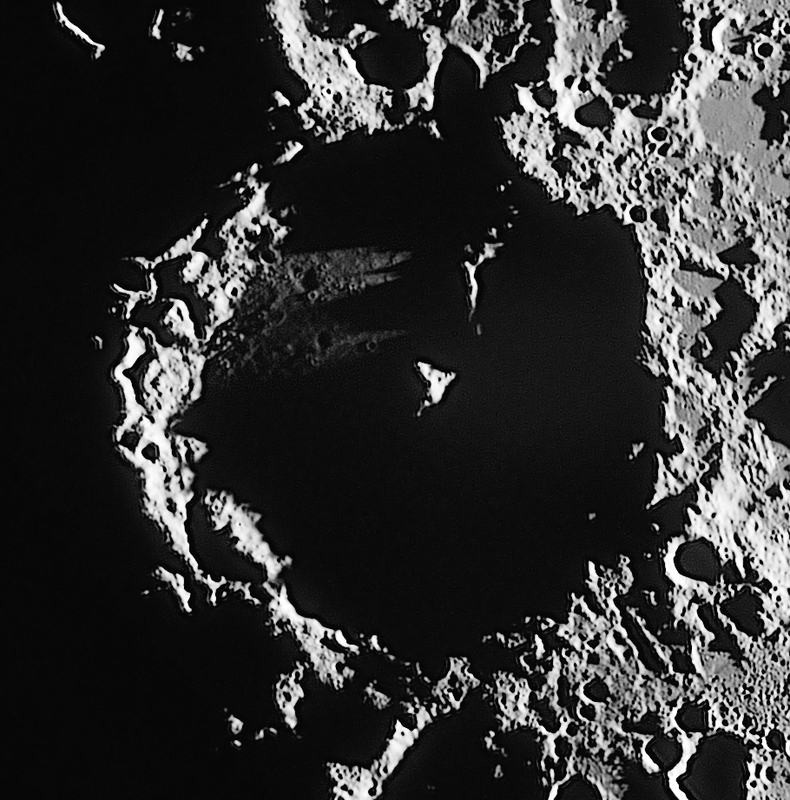 Still, a lot of small details and long shadows are observable near the two craters. 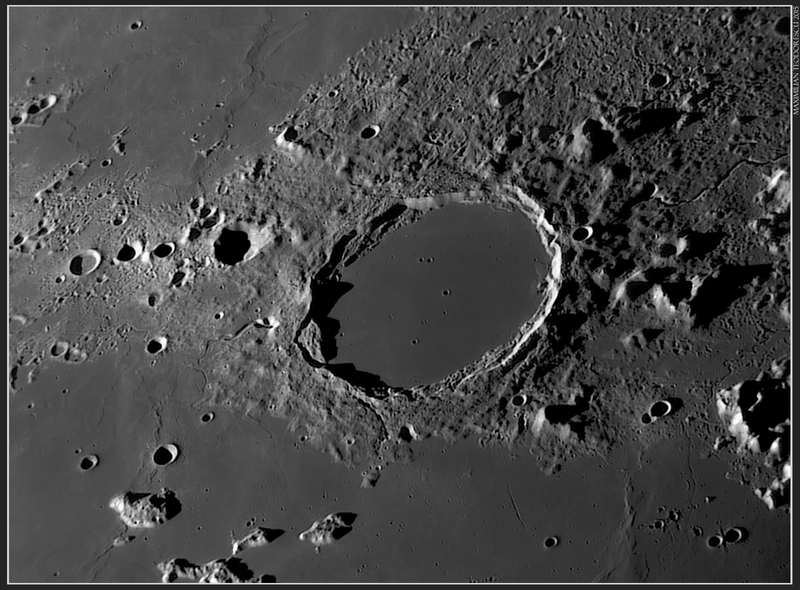 And a bit of luck, close to the end of the imaging session, crater Plato under very good seeing conditions with a lot of small 500-600 meter craters on the floor:. Another imaging session under very good seeing conditions. The subject: once again, our Moon. 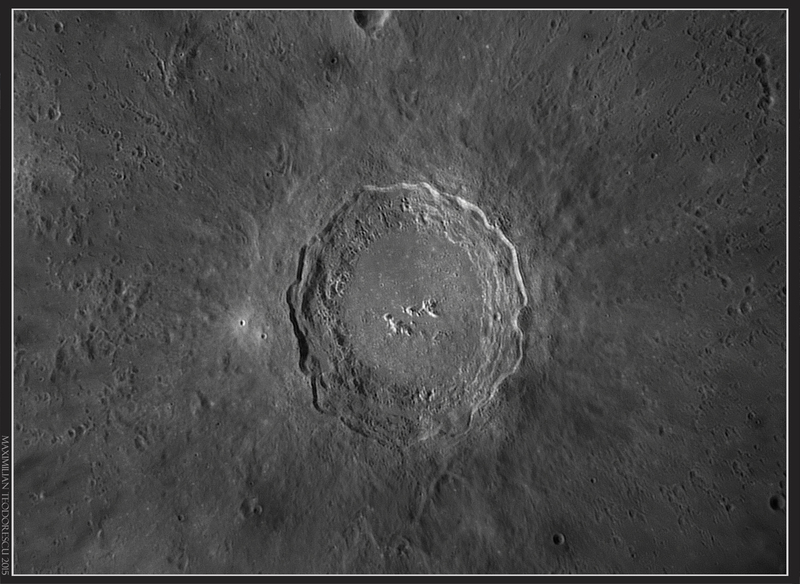 With the 14inch telescope I had again the pleasure to get some sharp images of lunar features under some similar seeing conditions as for the previous HR (High Resolution) posts (1, 2, 3). Despite this, I had to deal with the dew accumulating on the secondary mirror of my open-tube design telescope. At the end of the post it will become apparent why this happens. 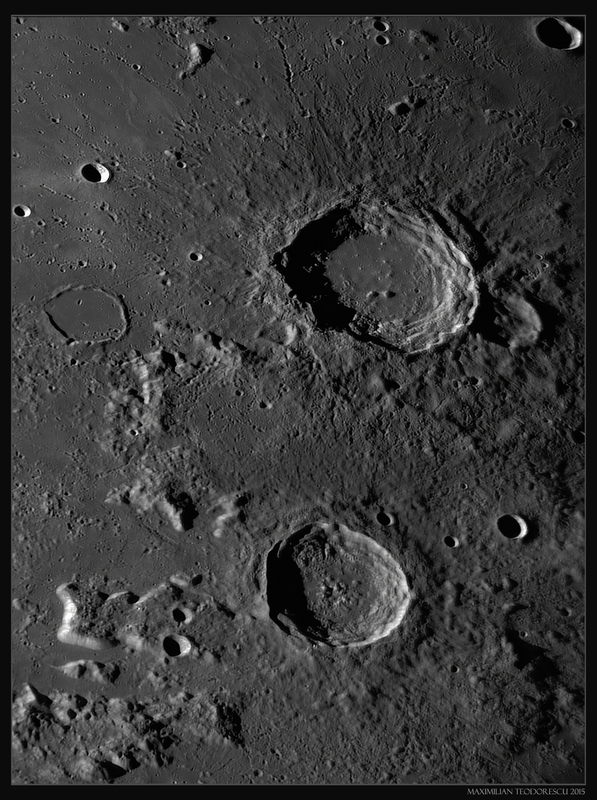 The images were acquired with the following equipment: 14inch (355mm) F/5 homemade Newtonian (SkyWatcher optics) working at F/20 and F/25 using a Baader Hyperion Barlow lens (2.25x, and expanded to 4x and 5x using different adaptors), the ASI 120MM-S camera and a Baader Red filter. 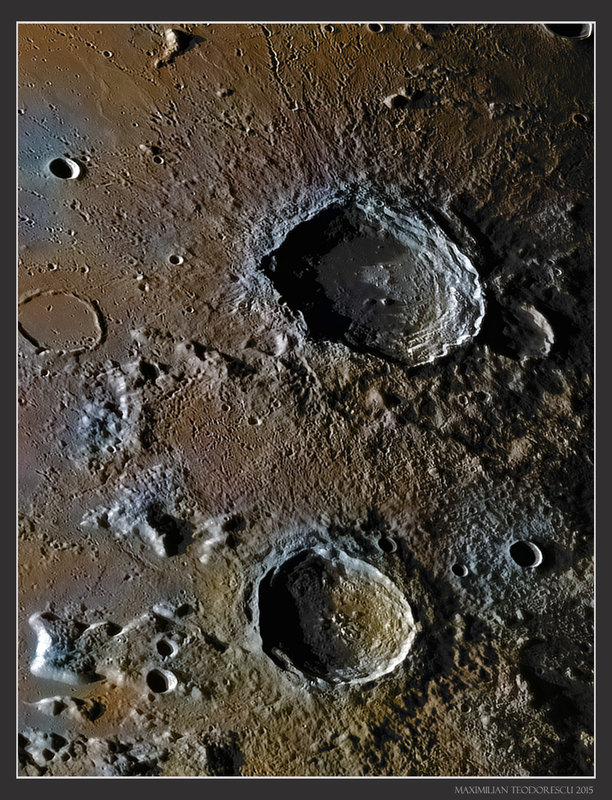 Some color data (from here) was added to the above six-frame mosaic, and the resulting image shows even more details due to this, like the yellow area surrounding two small craters (to the right of Arzachel, top right) named Lassell G and K. This is an old volcanic area. Plato was imaged last in this session. 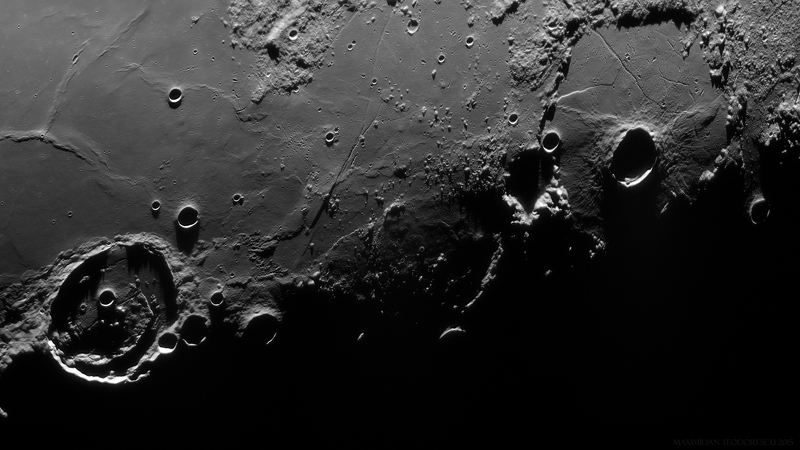 Due to the good seeing conditions, a lot of small craters are detectable onto its floor, as is the rima just to the lower-left of Plato, on the mare floor. I was writing at the beginning of this post about the dew accumulation on the secondary mirror of the 14 inch telescope. Well, for now I cannot solve this problem in an elegant way, but the solution will be implemented soon. This is the way a 14 inch Newtonian should look 🙂 (or not…). 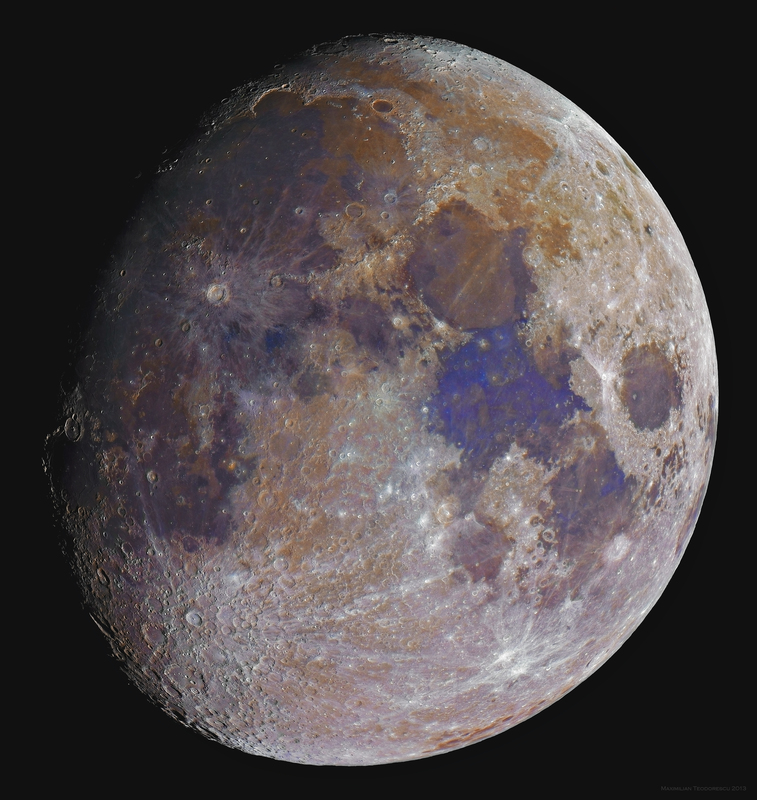 Despite not being the most handsome scope around, it does perform very well, and the cool-down time during lunar imaging sessions is around 40 to 70 minutes (depending on the initial temperature of course). 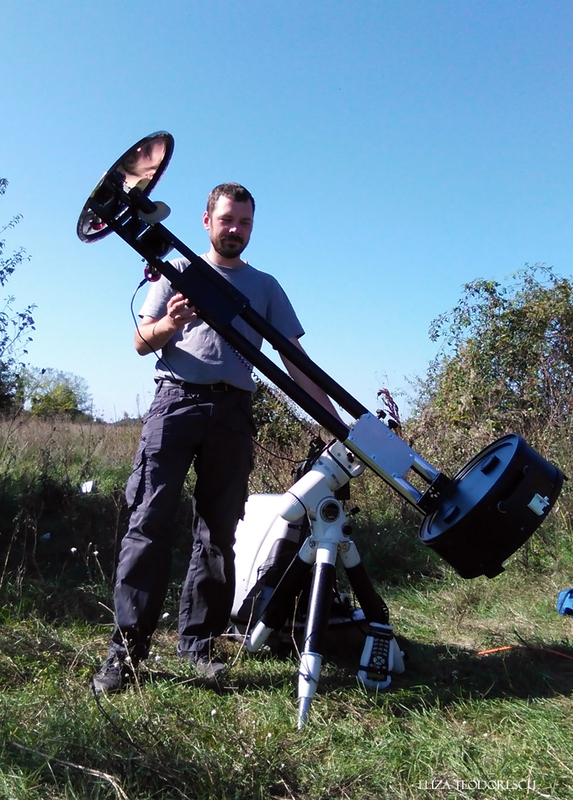 Besides this, the total weight of the scope is around 18 kilograms, which is the maximum an EQ-6 mount can handle for planetary guiding. The scope itself is still under construction, with a lot of parts being redesigned after the imaging sessions, but the general shape is final. 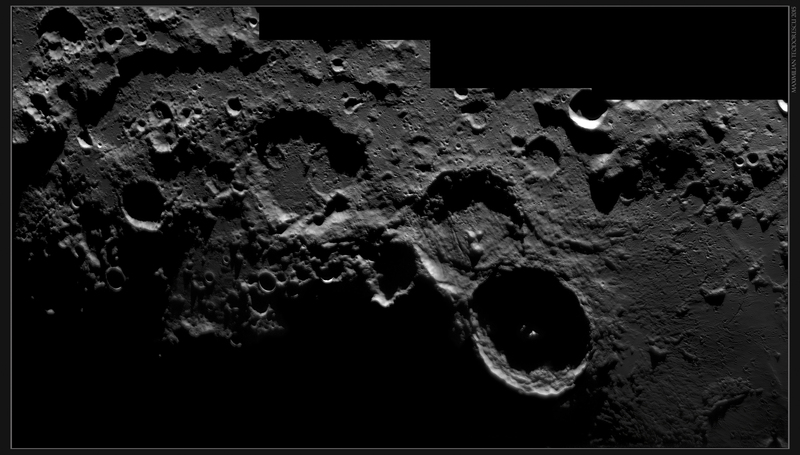 In the previous post I’ve presented my very first HR/HDR lunar image, showing the Triesneker area. In the following I’ll present my second such image, depicting the region of the craters Aristoteles and Eudoxus, two of the most striking lunar features while near the terminator. As before, the first image is both a HR/HDR image and a color one, with colors added from an earlier result. And the black-and-white version, which emphasis perhaps better the subtle details at the day/night threshold. As for the previously posted HR/HDR image (Triesneker) I had quite some luck to have the libration favorable enough to be able to overlay the two images almost perfectly. A bit of image-processing was still required to some slight angle and size differences between the two shots, but it was nothing that Photoshop couldn’t handle. 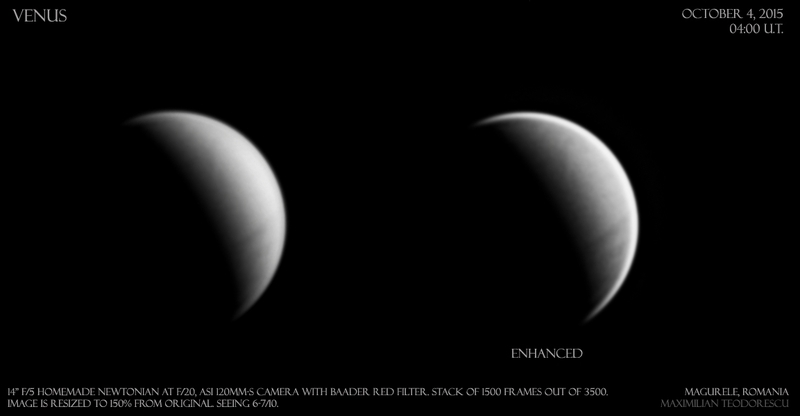 Below, the two “rectified” initial images on the sides, and the HDR result in the middle. I won’t get into the scientific details that can be extracted from this images, since I’m not qualified to do this, but perhaps I will be able to include here a few words from someone that really is an expert in lunar geology. 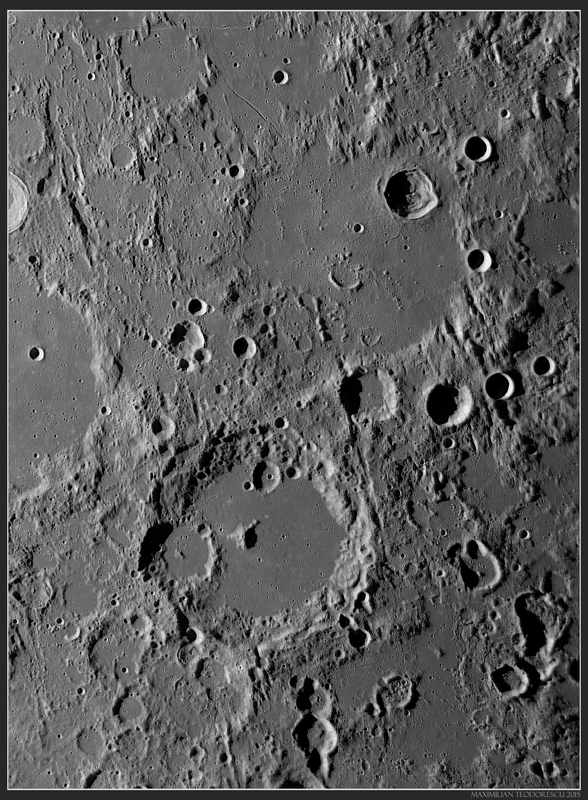 The reasoning behind my affirmation is that the processing and acquisition performed for this image have resulted in something new for lunar imaging performed by amateurs. 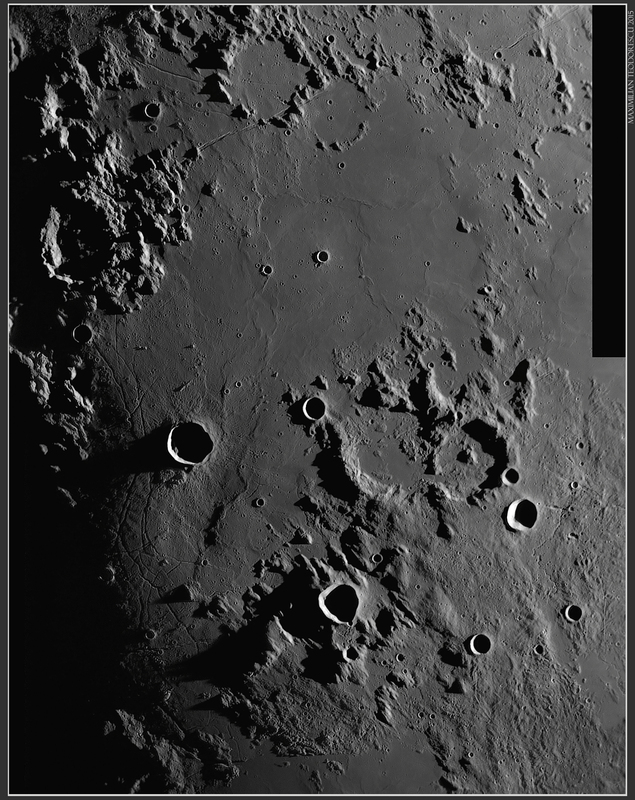 “High-Resolution” (or HR for short) in amateur terms means that the details present on a lunar image have less than one kilometer. 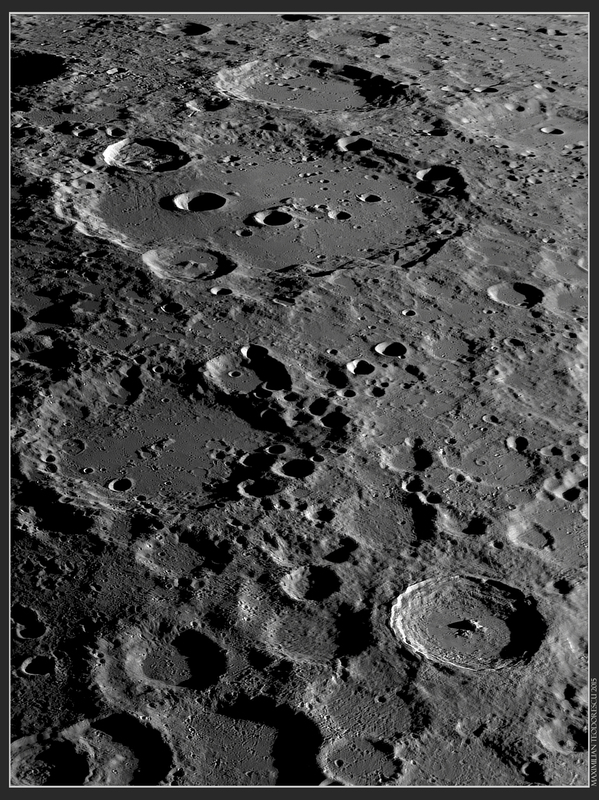 “High-Dynamic-Range” (or HDR for short) for lunar shots means that you can basically see both brightly illuminated regions but also in the very “deep black” inside craters that are viewed at very low Sun altitudes. This was done by other amateurs for quite a while now. What is the “novelty” in my case: under the same illumination, let’s say a near-terminator one, the details beyond the day/night line are invisible, or too dim to be able to get a HR image even with the best cameras around at the moment. The HDR-combination I’ve performed for this image makes use of two different illuminations, so normally one such shot will be impossible to create on the same imaging session. To be able to overlay one image onto the other from two different nights, one must have extremely similar libration conditions, seeing, magnification factor (equipment) and processing routine. This is exactly what I had after one month from the first image. The image above is created from two shots acquired in the mornings of September 4th and October 5th, 2015. In both occasions, the seeing was very good. The illumination was quite different: the image from September has the Sun at a higher altitude compared with the very low altitude from the October image. So, having these two different conditions, the combined “HDR” shot presents both the finer details as seen from above, and the elevation information due to the low angle illumination. The three-image sequence below shows just what details are visible from the two initial images. Note there is some missing data in the October 5th image (lower left corner). 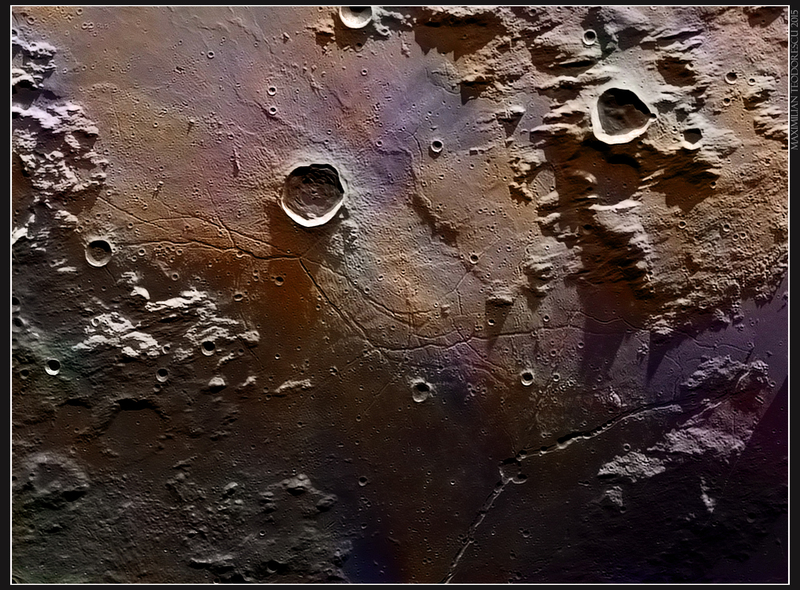 The color data for the first image in this post was overlayed from a two-years old global image. 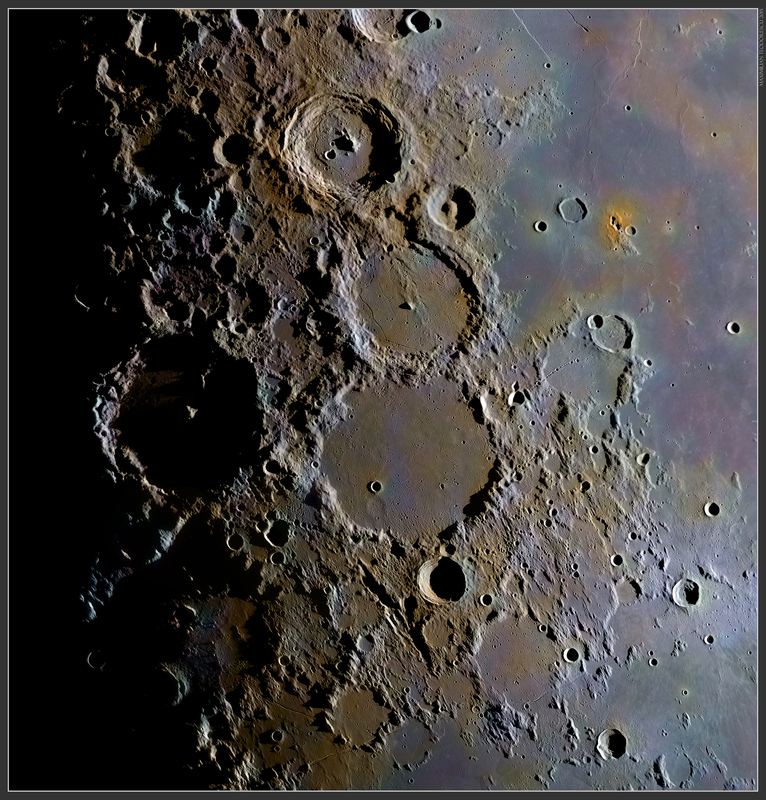 It might not be the very best color rendition for the region, but it does show a lot of differences in the materials present on the lunar surface around crater Triesneker. I can only hope to find more image-pairs since I’m just starting to process the data from my last three imaging sessions from October.